Knowing our girl, we were certain this is something that will work for her. We started teaching her words even before she can talk. We bought balls for her play pen and taught her the colors while playing catch. 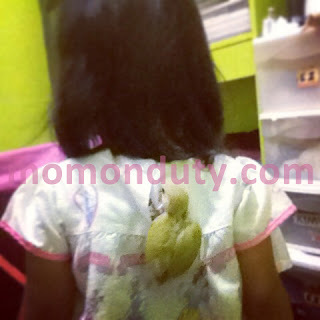 >We let her paint, too, without scolding her about her hands and clothes getting dirty. 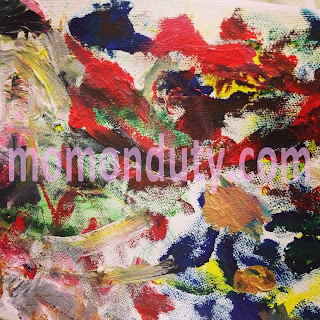 We also let her paint whatever she wants. They say this stimulates a child’s imagination and creativity, which is very true with our little girl. I let her go up and down the stairs and counted every time she takes a step. She also learned the names of the planets and knows the sun, moon and stars through a song we got from Bubble Guppies. Kelly can identify animals, too, which she learned from our numerous trips to different zoos. Flowers, trees and the rain were taught during our afternoon walks. 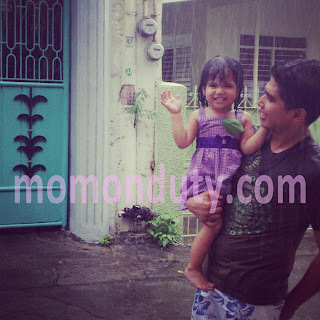 While sharing, patience and the concept of friendship were introduced by letting her play with other kids in our street and weekly play dates at Gymboree. She is also aware that animals should be treated with love. And we taught her that by letting her take care of her own fish (Mrs. Grumpfish) and bird (Sasha). It’s amazing that she never forgets to feed them, she plays with them and even talks to them! Children can learn so many things through playing and exploring their surroundings! We love this method of teaching so much because it’s fun not only for Kelly, but for Daddy A and I too. 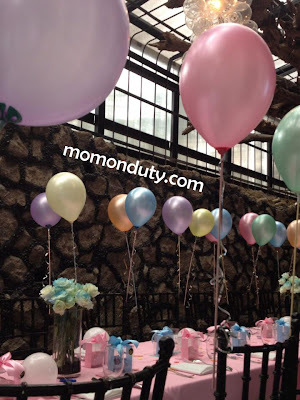 Moreover, learning sessions are opportunities for bonding and relaxation (for Mom and Dad). How do you make learning fun for your kids? 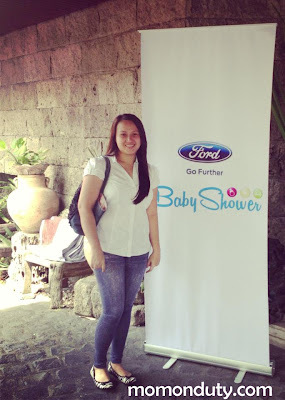 A few days ago, I went to the pre-Mother’s Day event and Baby Shower of Ford Philippines. 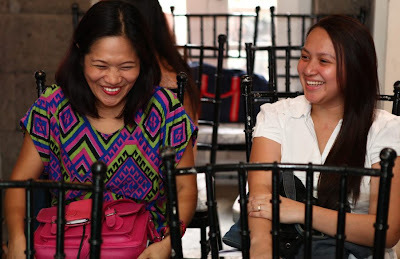 I was told that I can bring another Mommy friend to the event so I asked Denise of Bebengisms to come along. 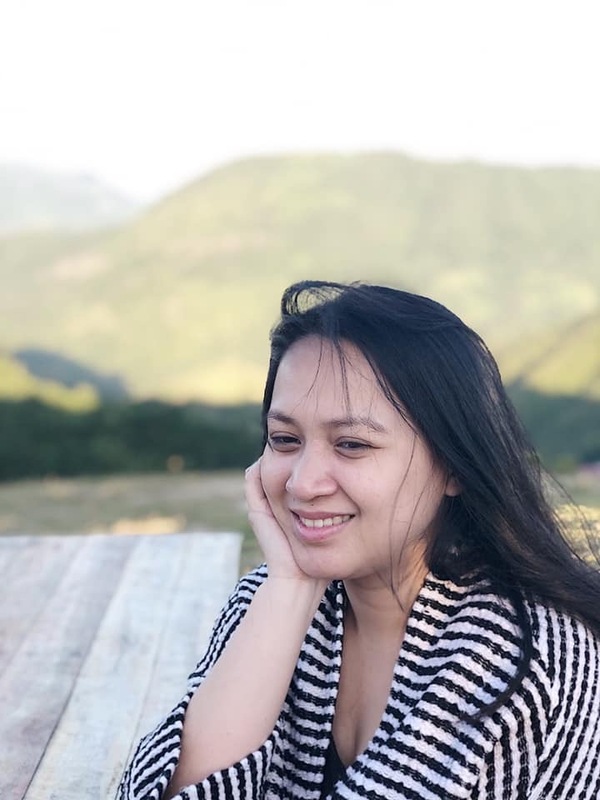 Enjoy na enjoy ako sa blog posts niya kaya naisip ko siguradong masaya kasama ang Queen of Bekiness. True enough, there was never a dull moment. Haha! Halata bang enjoy na enjoy kami mag chikahan? 😀 Our chikahan started from the time Queen B entered the car up until we parted ways. No wonder we have super duper talkative kids! Mana-mana lang daw eh. Moving on to the event. 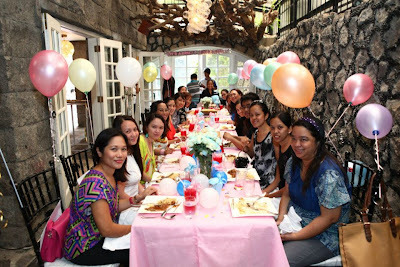 We arrived at Chef Rodriquez’s residence a little before 10 in the morning. After our quick chika moment in the car, we went into the house and was warmly greeted by the organizers. The first part of the event was a talk by Ms. Anika of Ford. She discussed road safety and how Ford can make the whole driving experience comfortable and safe especially for expecting moms. Her talk really made me want to get a Ford Focus, ha! Features like the Active City Stop, hands-free parking and secure points for the kids’ car seats are perfect for moms who are always on the go. 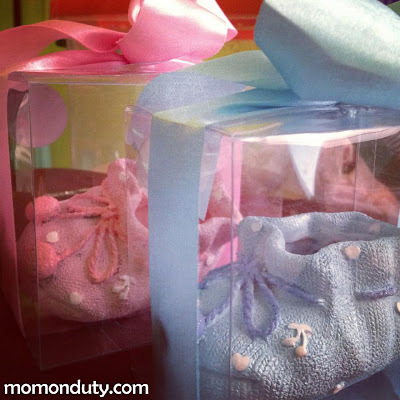 Mommies, if you are expecting, you still need to put the seat belt on. Just make sure that the belt does not go across your tummy, but below it. You also have to recline the seat a bit further to give space for your growing belly. If back pain is a problem, you can put a rolled towel between the seat and your lower back. It is also important to take driving breaks. The best and safest thing to do, however, is to be the passenger instead of the driver. After the talk, we went outside to test the Ford Focus. The demonstration really sold the Ford Focus to me. In fact, I inquired about the price and texted Daddy A. Haha! But of course, this will have to wait until we get our budget straight. 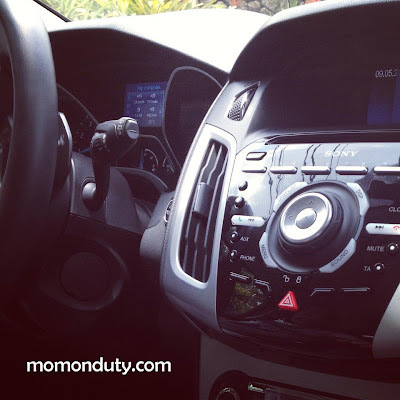 But mothers, if you are thinking of buying a car, this is it! 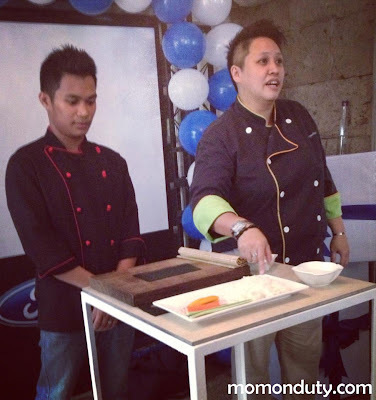 After trying out the features of Ford Focus, we went back in for the cooking demo of Chef Jacq. We were taught how to prepare a healthy maki, which is pretty easy pala. It was almost lunch then so I was more than willing to try the maki that Denise made. It looked funny, but what the hell. Haha! I’m sure naman masarap, diba mother? Unfortunately, they didn’t serve the maki made by the mommies. After lunch and loads of kwentuhan and photo opps with the Mommies, Denise and I agreed to go home. 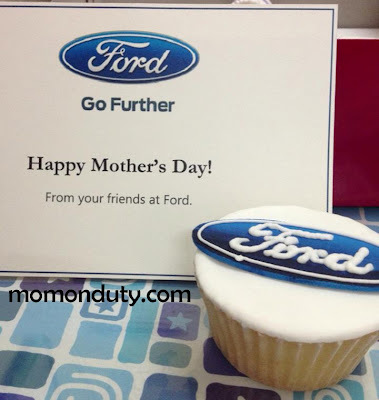 However, before leaving, Ford gave us gifts. Yes, gifts. 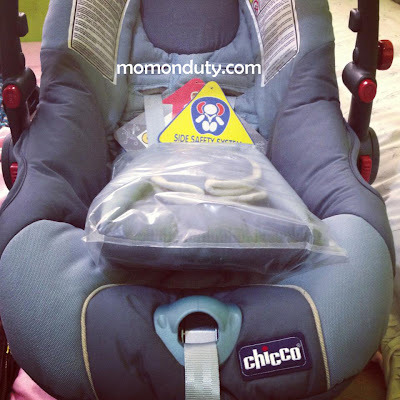 …and a car seat from Chicco! The last gift was truly a surprise! 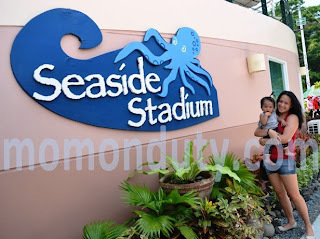 Saktong-sakto dahil naghahanap na rin kami ng car seat para sa aming baby boy na sumasama na sa galaan. 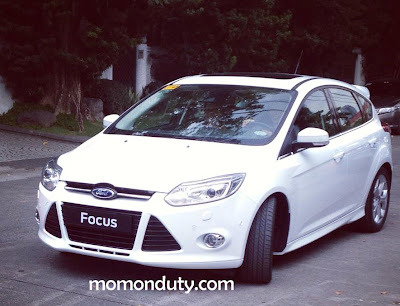 Thank you for inviting me, Ford Philippines! I haven’t been blogging as often as I used to and it’s all because I’ve been spending lots of time with the kids. I don’t know, but ever since I realized that my little girl is turning 2 in a few days, I started feeling like the kids are growing up too fast and that I’m running out of time with them. OA ba? But it’s true, that’s how I’ve been feeling so I try to spend as much time with them before they start going to school and before I start going to work. Yes, dear readers, I might start working away from home soon. I’m not very excited about it, but let’s leave that to another post. I have a feeling that our Princess is going to be a performer. She loves singing and dancing especially when she knows she has an audience. Our Little Man is starting to be talkative like his big sister. For a while I thought he’d be different; that he’d be the quiet type. I was wrong. It looks like we have yet another talkative mini in the house. Sometimes I wish our two little ones will never grow up. It’s so hard thinking of the day that we will have to let go of them and it’ll be just Daddy A and I. Hay!